Sacramento is the capital city of California and it’s located at the junction of the Sacramento River and the American River. It’s considered one of the most historic cities in the state of California and is home to a wide variety of attractions such as landmarks, amenities, parks, and other amazing and interesting things. There is plenty to explore in Sacramento as it is the fifth largest city in the state. There are lots of fine restaurants good for dining, night clubs if you want to go dancing or have a drink with some friends. Below are just some of the beautiful places you will want to take in before you leave this city. Unlike other cities in California, which are known for their beaches, sunsets, and luxury lifestyles, Sacramento is famous for its countless museums and galleries showcasing artifacts of local culture and history. It is the capital of California which is why its importance elevates even further. Sacramento is a landlocked city. But it is perfectly placed, at a few minutes distance from San Francisco, with national forest in the east and Pacific Ocean to the west. All those who come to California for vacations or other purposes, do pay a visit to this city as well. The quickest way to reach here is through a flight and SMF Airport is the one located closest to the city. An amazing thing about the airport is its management procedures. Things are done one after the other in a chronological order. For instance, after processing of the documents and going through security checks, you come numerous food courts with multiple food options having delicious tastes. There are two terminals at the SMF airport; A and B. Due to this, you get to a witness significant increase in the swiftness of the process. Moreover, there are signs in the building telling where to go next, thus making the navigation a lot easier. A layout change at one of the two terminals has greatly improved not only the quality of service but the aesthetics of the place as well. Surely it is one of the finest airports in the state of California. As the capital of California, the Sacramento International Airport gets not as much traffic as LAX, but certainly enough to constitute a bit of pre-planning. Don’t let rush-hour traffic hold you back by reserving a shared ride van ahead of time for a scheduled pick up. Save your seat with a trusted local source of traveler transit that offers a variety of deals, from families to college students. Be sure to look up details on the airport (as far as locations of drop off and pick up zone) so that you get on your ride on time and without any unnecessary hassle. Spend the day enjoying the history and architecture of Old Sacramento State Historic Park, a beautiful recreational area that also has a ton of indoor attractions, including an onsite museum. If you’ve got a group that’s bigger than average, schedule a ride on our private vans so that you can get the most out of your trip, heading out to natural wonders at Folsom Lake, where you can enjoy horseback riding and summer swimming. If you’re a couple in searches for a romantic getaway, you’ll be happy to see that Sacramento is more than enough to have a fulfilling night. Book a private sedan from us and sit in for a show at the historic Crest Theatre, a beautiful downtown venue that’s known for hosting some of the best shows in the country. 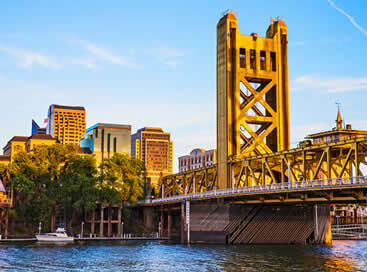 At the end of the night, go for a stroll through Tower Bridge, a historic vertical lift bridge that crosses the iconic Sacramento River, giving visitors access to the intersecting western area, Yolo County. With a huge giraffe sanctuary and many other species, the Sacramento Zoo sits on 15 beautiful acres of land in the heart of William Land Park. Open for the public since the late 1920’s, the zoo is a pivotal part of visiting Sacramento, offering a fun day of family-fun that can only be accomplished with the right car. Reserve a private SUV and check out other fascinating landmarks, including the intimate B Street Theatre, which often hosts interesting local acts. Go on a fanciful adventure through downtown by visiting swanky locales like The Firehouse Restaurant, home to high-end American dishes, or Mulvaney’s B & L, a seasonally inspired restaurant located on 19th street. 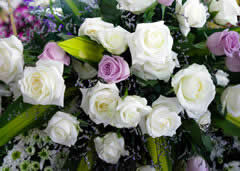 You can show up looking stylish and appetizing by reserving a luxurious stretched limousine, the one-stop-shop for beautiful cars and even more beautiful memories. The Shady Lady Saloon is a great place to stop by either before or after dinner, and be sure to ask the old-timey bartender about their specialty cocktails. Because Sacramento has such a massive museum district, it’s almost impossible to walk through downtown and not stumble upon great facilities like the California State Railroad Museum, which is home to antique locomotives, or the Crocker Art Museum, which is a historic building that houses diverse works from around the globe. Luckily, all these museums host group tours, making it perfect for large families traveling abroad – to get there together and on time, book a chartered bus with each ride coming with a rows upon rows of seating as well as your own driver. The factory’s location is just about half an hour’s drive from downtown Sacramento. A visit to this place will be one that all your family members will enjoy. There are plenty of jelly beans for you to purchase and ice cream for the kids too. The factory is free to visitors between the hours of 9am and 4pm so plan your visit accordingly. 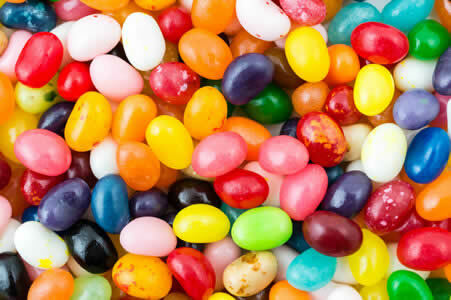 → An official tour guide will help you on a guided tour of the factory where you will be able to witness the factory’s workers working to create America’s favorite jelly beans. → If you are lucky you may be given some free samples of the famously delicious beans during your tour. → If you are hungry for more than just sweets the factory has a cafe where you can order breakfast or lunch, including bean shaped pizza and burgers. 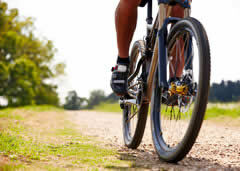 Sacramento usually plays host to a number of cycling events throughout the year thanks to its elegant and expansive American River Bike Trail where most of these cycling events occur. → The trail starts at the Discovery Park in Old Sacramento and concludes at Beal’s point near Folsom Lake. → It stretches 32 miles with its paved surface making it ideal not only for cyclists but skateboarders, horseback riders and hikers. You should not leave Sacramento without visiting Folsom Lake as the destination is abuzz with all manner of interesting and fun activities that will leave you and family thrilled to the fullest. Visit the lake for you and your family to get to enjoy all of the fun the lake has to offer. → The lake has about 75 miles of shoreline something that makes it a favorite destination of fishermen, fun swimmers, hikers, boaters, campers etc. 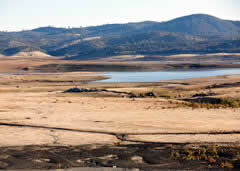 → There is also camping offered at Folsom Lake if you want to take your family on a trip that will let them really bond with nature and get to see the natural wonders of the Sacramento area. Sacramento’s historic city cemetery, or Old City Cemetery, is full of beautiful statues and beautifully manicured gardens that are well maintained. Visiting this cemetery will allow you to get a glimpse of the history of the city the good and bad about it. → Old City Cemetery is the final resting place for many people from the infamous Gold Rush era, the American Civil War, World War I & II up to present. → Among those buried here are politicians, celebrities, war veterans and victims of the 1850 cholera epidemic.